Tuesday, June 18, 5:00 pm, Aquinnah. Issac Taylor gives a presentation on how he built a home out of entirely renewable materials. At the Aquinnah Town Hall. Wednesday, June 19, 5:00 pm, Chilmark Library. Wildlife biologists Luanne Johnson and Liz Baldwin of BiodiversityWorks present some of our most under-appreciated beach birds. A free talk sponsored by the Friends of the Chilmark Public Library. For more info call 508 645-3360. Thursday, June 20, 9:45 am to 4:30 pm, Edgartown. Thursday, June 20, 1:00 to 3:00 pm, Felix Neck Wildlife Sanctuary, Edg. Volunteers needed to help maintain Felix Neck's butterfly garden. For more info, call 508 627-4850. Better than anything you can buy, because they won't use fresh strawberries and local yogurt! For a lighter flavor (and more typical of what you might buy somewhere) replace 1/2 to 1 cup of the yogurt with ice, crushed in the blender before adding other ingredients. All the ingredients can be sourced locally with a bit of up-island exploration. After picking up strawberries and spinach at the Farmer's Market or any number of farm stands, stop at Mermaid Farm in Chilmark for yogurt. Nearby, on the other side of Middle Rd., is a small roadside table that usually has locally-produced honey for sale. The annual VCS membership renewal drive is not over yet! Please help us meet our membership goal for the next fiscal year by renewing today! And if you’re not yet a member, there’s no better time to join! New members can choose to receive a free copy of one of our two popular books, Walking Trails of Martha's Vineyard by William Flender or Edible Wild Plants of Martha's Vineyard by Linsey Lee. Membership at VCS also brings our print newsletter, Vineyard Conservation to your mailbox twice a year. If you’d like a preview, past issues are viewable at our website, or come by our office at the Wakeman Center to pick up a copy. 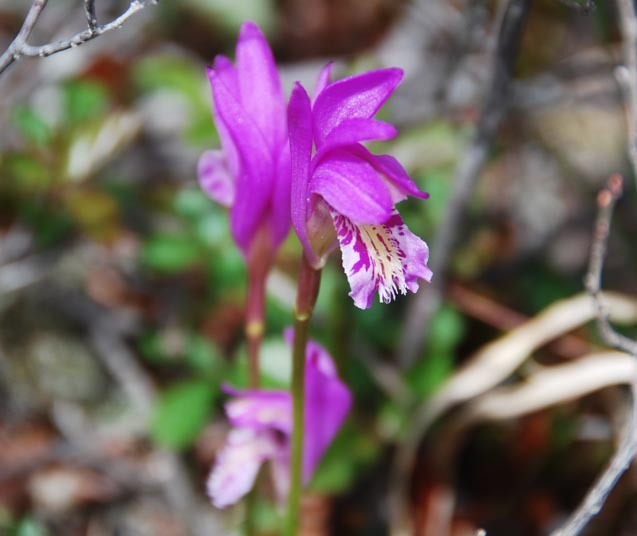 The Dragon's Mouth orchid Arethusa bulbosa is a photogenic symbol of the scarcity and beauty of the globally threatened habitat that it requires to live. 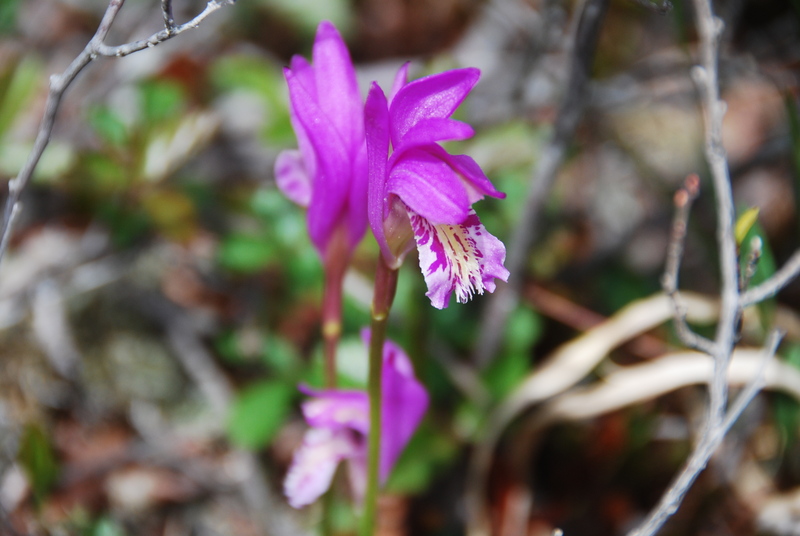 But VCS's efforts to protect this habitat are ultimately about conserving an entire unique ecosystem, not one (albeit striking) wildflower. Please join us Wednesday, June 26 for the 48th annual meeting of the VCS Board and Membership at the Wakeman Conservation Center. Refreshments will be served, and the event is free and open to all. 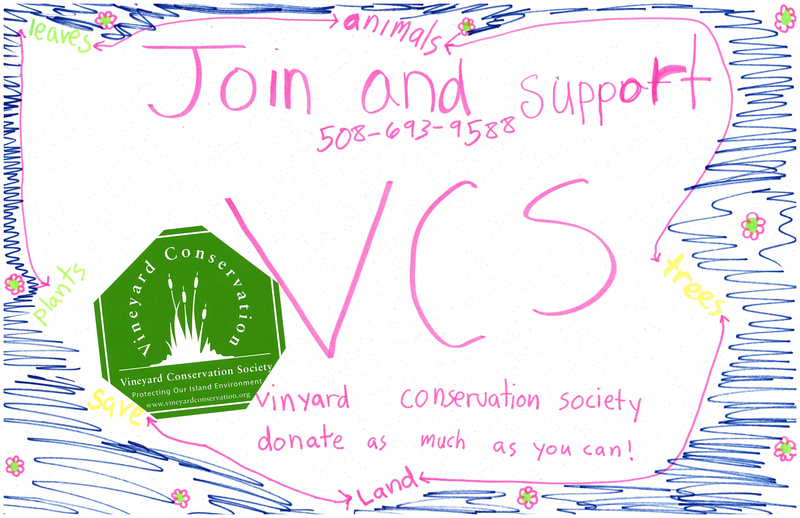 tell us about conservation on the Cape and Islands?" Paul Goldstein is an entomologist, evolutionary biologist and conservation biologist who began studying moths as a youth on Martha’s Vineyard where, among other jobs, he worked at Felix Neck and was influenced by Gus Ben David. Much of his current and past research focuses on the Vineyard’s unique fauna, including a recent inventory of the Island’s native bees. Rising Seas Special Feature: Prior to the official start of the meeting, VCS Board Member Phil Henderson will be giving an encore of his popular Rising Seas presentation (viewable at our website), starting at 4:30. We hope you can make it! The Wakeman Conservation Center is located on Helen Ave., one mile up from the Vineyard Haven end of Lambert’s Cove Road; see sign on left. For more information, call the VCS office at 508-693-9588. As part of a series of posters currently rotating through Island libraries documenting the work of local non-profits, VCS has created a tribute to the long-running Earth Day Beach Clean-Up. The display features photos, history, and lots of info on the sometimes strange, often unpleasant, and always important things that turn up on our beaches. The poster will be on display at the Vineyard Haven Library through the end of June before moving on the Oak Bluffs Library in July. Come check it out!